Originally a working farm, Brook Farm has been owned and run by the Forkes family since 1997. The timber framed farmhouse dates back the 16th century with parts of Old Brook Barn barn dating back to the 17th century. Having undergone years of neglect the Forkes family have worked tirelessly for the past 18 years to restore the farm, landscape and its buildings back to their original glory. Old Brook Barn has been sympathetically refurbished to the very highest modern standard, using old traditional beams and authentic materials throughout. The natural characteristics of the barn lend themselves to create the perfect atmosphere and ambiance for any event. The grounds create a wonderful backdrop for photographs. Exclusively yours to enjoy with the stunning natural brook, decking area, willow trees and meadow fields, you could not wish for a more idyllic setting on your special day. Exclusive use of the barn and grounds. Room to seat up to 150 guests. Ample space for dancing and entertainment. Fully licensed bar serving fine champagne, cocktails, beers, ales, wines and spirits. 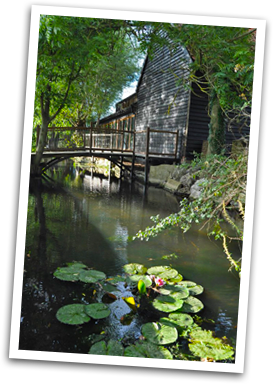 Stunning country venue within easy reach of London. Approximately 15 minutes from the M25 Junction 28 (Brentwood) M11 Junction 5 (Chigwell) and Gallows corner (Romford) A12 and A127.